Camping and caravanning gives you the best of both worlds – a place to chill that’s also close to the action. Kielder caravan park at Leaplish Waterside Park offers pitches for both touring caravans and motor homes. 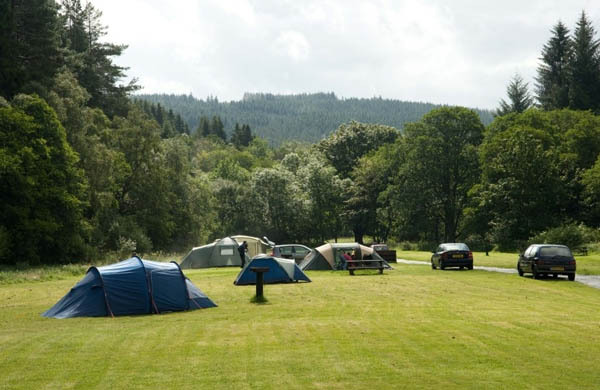 There are 83 pitches available and some stunning lake and forest views. Please note, there are several other camping and caravanning sites in the area. Why not start your day with a dip in the onsite swimming pool or by relaxing in the sauna? Prebook these activites at Leaplish. The kids can take advantage of the play garden or try their hand at the mini golf course. There are a multitude of walking and cycling opportunities along the 26 mile Lakeside Way; a multi-user trail that encircles the shoreline of Kielder Water and gives you a unique new experience. For the first time there is access to many of the most scenic parts of the lake shore, new views and the opportunity to interact with some of the abundant wildlife. A lovely short walk from Leaplish Waterside Park is the red squirrel hide where you are almost guaranteed to see one of our native creatures. The Boat Inn restaurant and bar provides a scenic spot for lunch or if you have a packed lunch take advantage of one of the picnic tables outside. During the afternoon, it’s well worth a visit to Kielder Water Birds of Prey Centre, also onsite, especially for a flying demonstration. There’s a wide variety of birds and animals to delight all ages. The best way to see the Park is from the water so why not take a trip on the Osprey ferry or (in peak season) hire a pleasure boat of your own. The ferry stops at Café on the water at Tower Knowe Visitor Centre (a perfect place to have lunch). Alternatively, drive to Kielder Castle and have lunch at the Duke’s Pantry tearooms before spending the afternoon exploring the castle grounds, exhibitions, play area and maze. Why not stay a while and use Kielder Water & Forest Park as an ideal base to explore the rest of Northumberland or even as part of a longer trip to the north of England? There are many places to visit including stretches of beautiful coastline, bustling cities and the great outdoors. Check out our ‘what else is nearby’ page of the website to discover Northumberland, NewcastleGateshead, Durham, Scottish Borders, Cumbria and the Lake District and Yorkshire. Enjoy the freedom of your caravanning holiday.